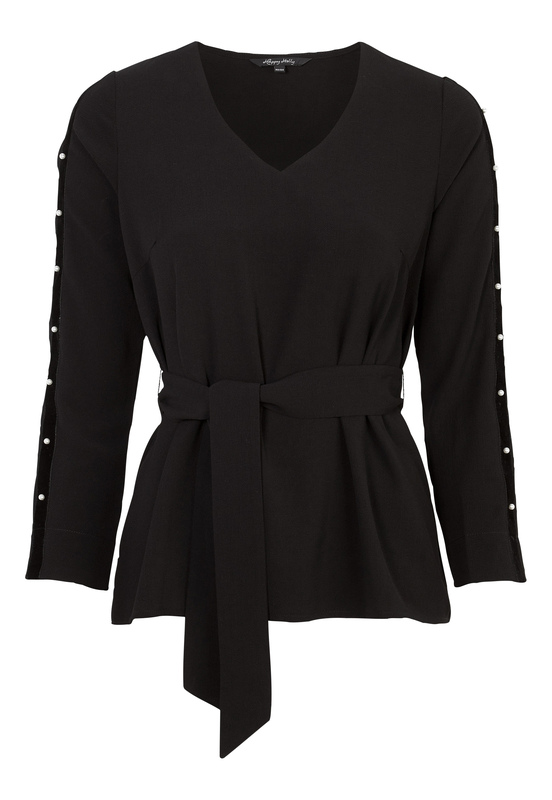 Woven blouse with a removable waist tie from HAPPY HOLLY. Pretty bead details on the sleeves. - Front length from shoulder 67 cm, bust 98 cm, in size 36/38.